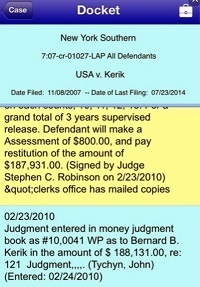 Felon on Probation Bernard Kerik parties hard while claiming he can't afford to pay his $180,000 Federal Criminal Restitution! By day, Bernard Kerik sends his thugs to intimidate, threaten and harass innocents (we hear an ORDER OF PROTECTION IS IN THE PIPELINE) connected to his upcoming "From Jailer to Jailed" litigation, (where it is alleged he manipulated a writer from his prison cell, took that writer's work then allegedly convinced Simon and Schuster & book agent, Victoria Sanders to publish it as his own...liar, cheater) but by night he's a party animal! Remember Bernard Kerik, Jeanine Pirro and that ugly federal investigation a few years ago? Thugs thrive! Yes, Party! This alleged poor felon on FEDERAL SUPERVISED RELEASE claims he can't afford to pay his $180,000 USA v. Bernard Kerik criminal restitution but can reportedly down some drinks and have his arms full of babes partying in NYC! Being a felon on probation is real punishment, isn't it? Felon on Probation, Bernie Kerik, should probably gets some party in because the upcoming litigation over "From Jailer to Jailed" should prove very interesting. The discovery in that trial may just jeopardize his probation and ultimately his freedom! Well, where's Hala Kerik? She's home trying to figure out what story to tell the judge to cover for her lying, cheating, lame, deadbeat, thug husband again! Where does the money come from and where does it go? Hala Kerik still lives in a $2million estate allegedly paid for by tainted funds earned by her thug, cheating husband. 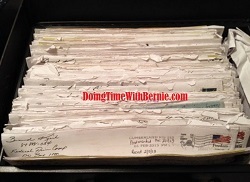 Bernie Kerik once told confidants he once had a problem with the alcohol and that was to blame for some of his past "mistakes:. Bernie Kerik told confidants he went to AA meetings in federal prison. Let's hope that family disease doesn't get out of control again. Perhaps instead of partying on a school night, Bernie Kerik should stay home with his FAMILY, get a part-time job and PAY HIS LITERAL DEBT TO SOCIETY! Perhaps instead of reportedly funneling all the profit he makes into a dark money slush ACCJR.org, (where the FEDERAL GOVERNMENT can't attache it) he should PAY HIS LITERAL DEBT TO SOCIETY! There's no punishment here. 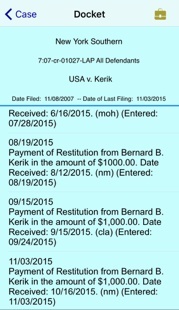 Bernard Kerik has made an entire career out of pleading what a poor felon he is! Bernard Kerik is a fake. phony. fraud. liar. tax cheat. So it's settled. Bernard Kerik hasn't changed and apparently the Southern District of New York and the US Federal Probation authorities are duped again by this true thug!